Amanda Ramirez will introduce you to the Edge.. from Houston. Get ready to Switch the Record player from 33& 1/3rd to 45 RPM! Just click on the pic. Ah,, precognition. The case of Rosemary’s early week. Ah,,, we wrote about ’em in the ol ñ mag back in ’98 – they’re still slamin’ it – Bio Ritmo! Read about their latest HERE. 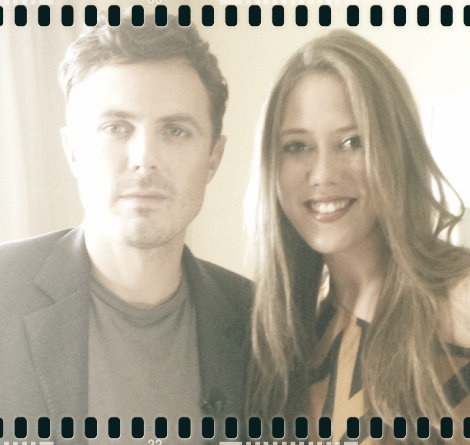 Casey Affleck sits and chats about his film, Out of the Furnace. In part 1 he really tries to do it all en ESPANOL… Check out this cool interview with the Co-star of Out of the Furnace, Casey Affleck. Comon. You know you wanna. It’s like being updated about everything everyone thinks and still knowing nothing. Comon, what are you waiting for. Join us? We’re the borg. Content Miami: our new show bringing the best web shows made in South Florida to broadcast TV! Destapa Tu Ritmo Winners get the VIP treatment! If you wanna be aware of any other Que Pasa Style Fun waiting in the wings or be in the know everyweek when we upload new episodes – then click on this link and become a fan of the show on Facebook. Dale, ponte a facebookiar.